The shale gas boom in the United States has been reforming the world energy market. 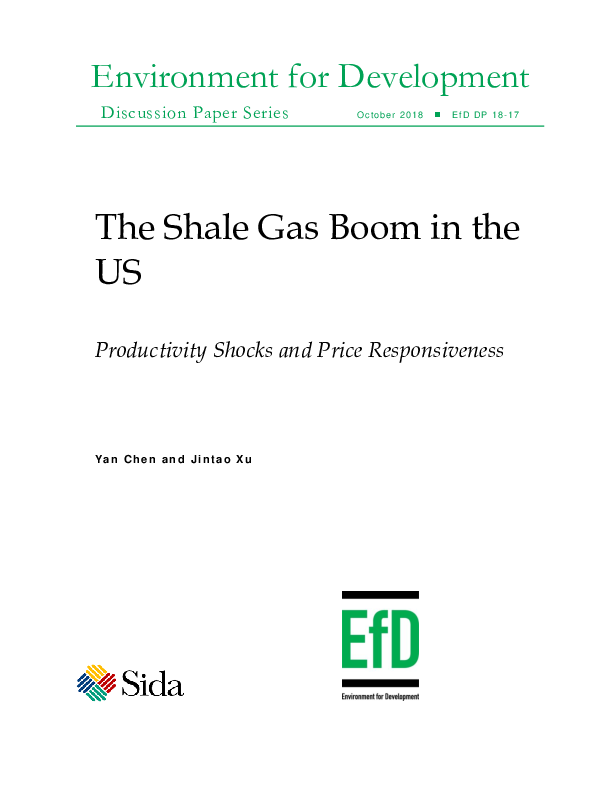 The supply response of shale gas to productivity shocks and relative price changes, however, has not been adequately studied. We analyze the change in price responsiveness of shale gas drilling using well-level data covering all major producing reservoirs in the United States. Shale gas drilling becomes more responsive to energy prices after the major productivity shock in 2009. Oil price elasticity increases from -0.32 (statistically insignificant) in period I (2000Q1-2008Q3) to 1.09 (significant) in period II (2009Q1-2016Q2). Gas price elasticity increases from 0.42 (insignificant) in period I to 0.59 (significant) in period II. These changes in elasticities can be attributed to the increase in natural gas condensate production of new wells, the increase in gas productivity during the shale gas boom, and the difficulties in transporting gas to the global market.